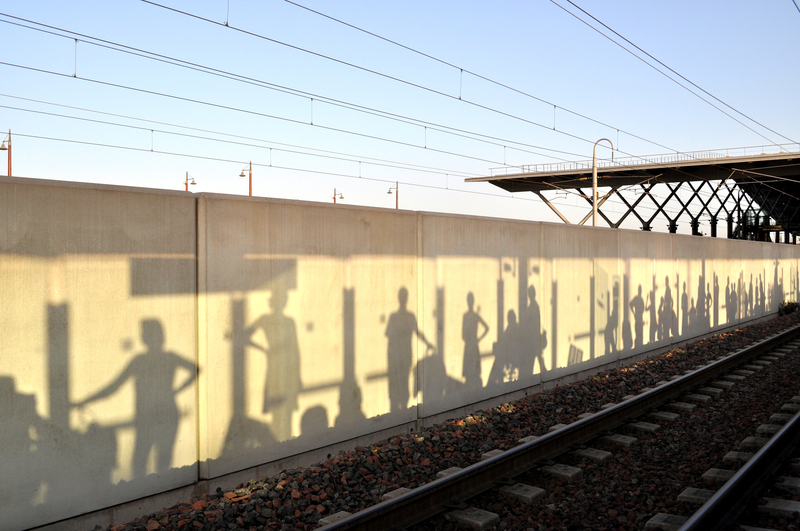 People are waiting at a train station, their shadows fall on the wall behind the rails. For me, this image is a perfect allegory for the remarkable disparities between individuals’ perceptions of the social world and its actual condition. Like the silhouettes in this image our concepts of the social world are projections of our own conditioning that obscure the complexity of phenomena. The distant hope of raising awareness of this disparity is the greatest source of inspiration for my work.